Remember the days when we used to read magazines? Physical, on-actual-paper magazines? We'd visit one of many newsstands or had our subscriptions delivered right to our door. We'd read them on transit, on holiday or in the bathroom and then recycle, donate to public libraries or give them away. But then publishing moved online. Then we started reading them on our tablets. And then magazine publishing stopped. Or did it? 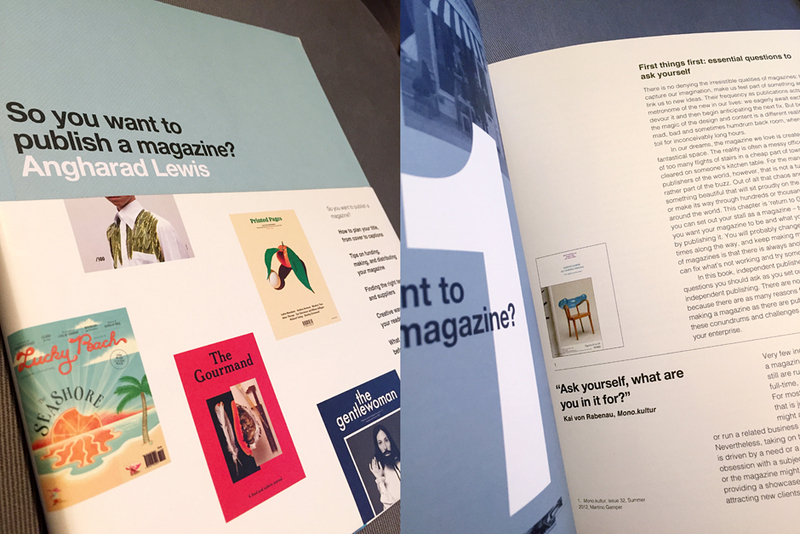 The current trend for print magazines—particularly embraced by the creative community—are not the disposable kind. They've been elevated to "keeper status" with unique content that is timeless in tone, created by independent publishers driven by creative freedom. Less reliant on mass marketing, with walls of advertising printed via industrial-sized web presses, the modern magazine is about a particular discerning target reader. 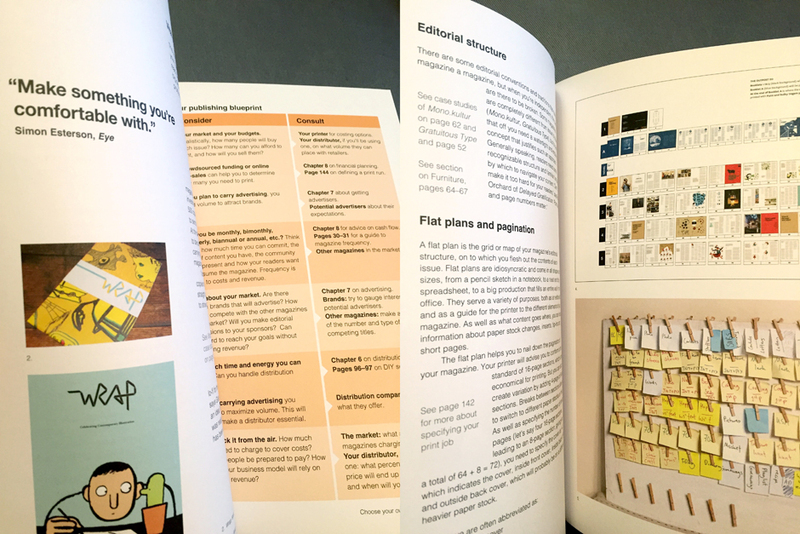 Produced with minimal sponsorship or no advertising, and high quality production values, each issue may be priced at a premium equivalent to a hardcover book. The difference is that people are willing to pay for this premium, with the full intention of keeping these publications for longer than a periodical. That is what this unique book focuses on...the makers of these kind of modern magazines, the quality of design & content that make them so sought after and what it takes to keep them alive. Author Angharad Lewis leaves no stone unturned, bringing up the differences in being independent with your own unique voice and goals, working outside of the confines of mass market print and distribution channels, and relying on every facet of community to get it launched towards sustainability. 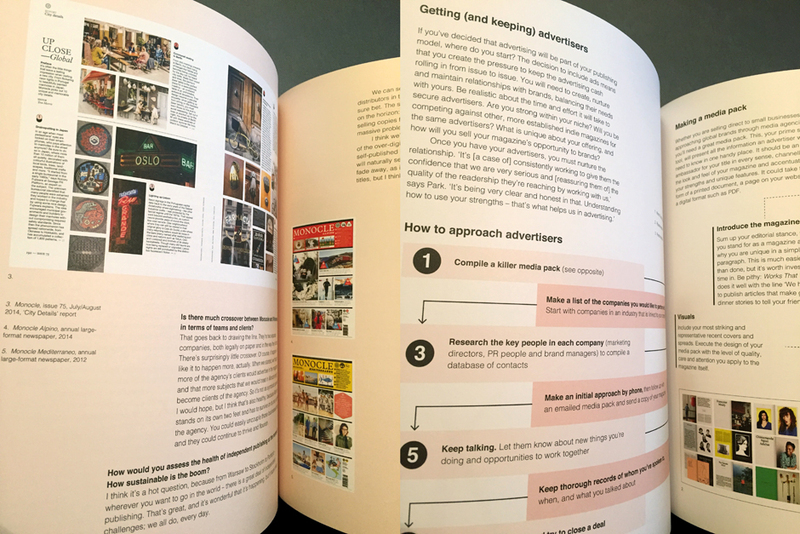 Like a valued mentor-in-a-book, the introduction kicks off with both encouraging and sobering tones, reminding aspiring magazine-makers the wealth of opportunities that await them, coupled with unforeseen challenges to be prepared for along the journey. 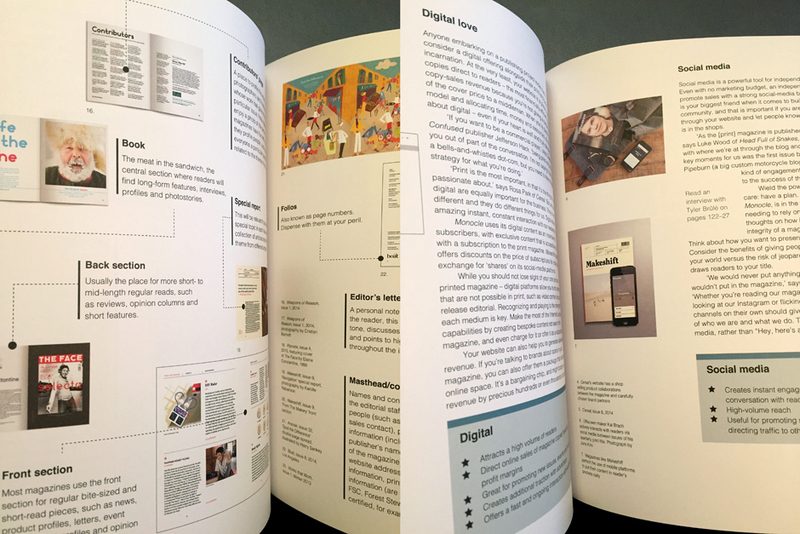 Interspersed with frank interviews by magazine makers of all kinds (including Monocle, Disegno, The Gentlewoman, & Eye), the author also explores and compares the benefits between reading and promoting via print, digital & social media platforms, and alternative, innovative modes of distribution. The challenge for today’s magazine entrepreneurs is ongoing at a variety of stages: how to stay relevant, how to be viable financially or as a full-time business, how to offer something different from book or blog competitors and how to maintain their offering (whether it be based on quality of content, design) at a price point that works for creator and target audience. This book validates the fact that print is not dead (thankfully). It has evolved into something wonderfully different, tenacious, and ever-changing. And to a degree, that’s what magazines and its creators need to be as a whole to stay alive.